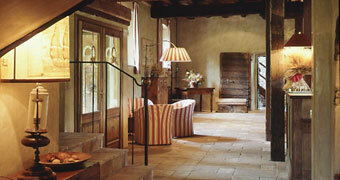 A 17th century mill transformed into a charming country hotel, in Friuli? 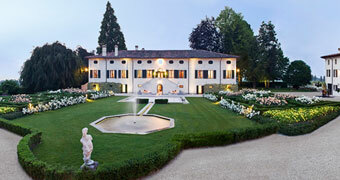 Hotel Ultimo Mulino! 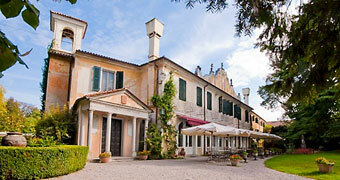 In 1200 it was a monastery, turned into the superb country villa of the Luppis Family in 1800. Today a comfortable hotel with gourmet restaurant and relaxing piano bar. The name "Sesto Al Reghena" is derived from "Sesto", a military outpost on the "sesto" or sixth milestone of the road between Concordia and Norico, and "Reghena" which refers to the River Reghena which passes through the town. 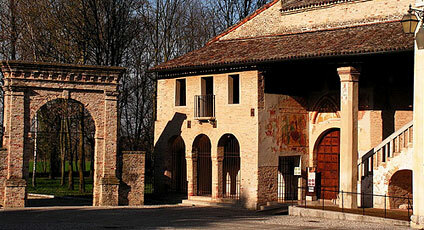 In this city of ancient origin there are a number of interesting sites, including the Sesto Al Reghena Abbey which can be reached after crossing a stream, the Basilica of Sesto, Villa Freschi, the Venchieredo Fountain, the All Saints Church of Bagnarola, and the small Church of St Pietro. There are a many small votive chapels scattered throughout the territory, such as the Church of St Urbano, the Church of St Antonio and the Oratory of St Chiara. Nature lovers will enjoy the trail which takes walkers through the principal zones of great artistic and natural beauty. Local cuisine of Sesto Al Reghena features dishes such as "Pungitopo Conditi", "Sugo di Spugnole", "Risostto con Sclupitin", Duck with "Pira", Rabbit, and the famous "Bussolà".